Operation of ecological processes at large spatial scales; ecological modeling; global change biology. Principal Research Scientist in the Institute of Arctic Biology at the University of Alaska Fairbanks (April 2018 – present). Professor of Ecology in Department of Biology and Wildlife / Institute of Arctic Biology and Assistant Unit Leader-Ecology in the Alaska Cooperative Fish and Wildlife Research Unit at the University of Alaska Fairbanks (July 2003 - April 2018); promoted to Senior Scientist in U.S. Geological Survey in January 2015. Retired April 28, 2018. Associate Professor of Biology and Wildlife in the Department of Biology and Wildlife / Institute of Arctic Biology and Assistant Unit Leader-Ecology in the Alaska Cooperative Fish and Wildlife Research Unit at the University of Alaska Fairbanks (July 1998 - June 2003). Assistant Professor of Biology and Wildlife in the Department of Biology and Wildlife / Institute of Arctic Biology and Assistant Unit Leader-Ecology in the Alaska Cooperative Fish and Wildlife Research Unit at the University of Alaska Fairbanks (August 1995 to June 1998). Research Associate at The Ecosystems Center of the Marine Biological Laboratory studying potential responses of terrestrial ecosystems to global change (October 1992 to August 1995). Postdoctoral Researcher for the USDA Forest Service in a project with The Ecosystems Center of the Marine Biological Laboratory studying potential responses of net primary production in terrestrial ecosystems to global change (June 1990 to September 1992). Postdoctoral Researcher at the University of colorado's Mountain Research Station and the Institute of Arctic and Alpine Research (1989-90 academic year) studying the effects of climate on the reproductive biology of sub-alpine plants in the Rocky Mountains. Instructor in the Department of Biology and Wildlife (Spring 1989). Taught an introductory course entitled Fundamentals of Biology II. This course is a survey of organismal biology and is a required course for all majors in the biological sciences at the University of Alaska-Fairbanks. Ninety students were enrolled in this course. Instructor in the Honors Program at the University of Alaska-Fairbanks (Fall 1988). Taught a course entitled Natural History of Alaska to 13 students. Research Assistant on National Science Foundation Grant BSR 8516864 entitled: Reproductive Interactions and Plant Community Organization on South facing Bluffs in Interior Alaska (May 1986 - August 1988). Smithsonian Tropical Research Institute Short term Fellow studying bee foraging behavior with Dr. David Roubik in Panama (April - June 1984). Teaching Assistant in Department of Biology and Wildlife at the University of Alaska-Fairbanks. Assisted in courses in botany, ornithology, and introductory biology (Spring 1981 - Fall 1982; Fall 1984 - Spring 1986). Member of Technical Staff, Bell Telephone Laboratories, Whippany, New Jersey (August 1977 - May 1979). Schuur, E.A.G. et al., 2013. Expert assessment of potential permafrost carbon feedback to climate change. Climatic Change, 119, pp.359-374. Yi, S. et al., 2013. Representing the effects of alpine grassland vegetation cover on the simulation of soil thermal dynamics by ecosystem models applied to the Qinghai-Tibetan Plateau. Journal of Geophysical Research: Biogeosciences, 118. Available at: http://dx.doi.org/10.1002/jgrg.20093. Zhuang, Q. et al., 2013. Response of global soil consumption of atmospheric methane to changes in atmospheric climate and nitrogen deposition. Global Biogeochemical Cycles, 27. Williams, B.K. et al., 2013. U.S. Geological Survey Ecosystems Science Strategy—Advancing discovery and application through collaboration, U.S. Geological Survey. Boike, J. et al., 2012. Permafrost – Physical Aspects, Carbon Cycling, Databases and Uncertainties. In R. Lal et al. Recarbonization of the Biosphere. Recarbonization of the Biosphere. Springer Netherlands, pp. 159-185. Available at: http://dx.doi.org/10.1007/978-94-007-4159-1_8. Harden, J.W. et al., 2012. Field information links permafrost carbon to physical vulnerabilities of thawing. Geophysical Research Letters, 39. Hayes, D.J. et al., 2012. Reconciling estimates of the contemporary North American carbon balance among terrestrial biosphere models, atmospheric inversions, and a new approach for estimating net ecosystem exchange from inventory-based data. Global Change Biology, 18, pp.1282–1299. Huntzinger, D.N. et al., 2012. North American Carbon Program (NACP) regional interim synthesis: Terrestrial biospheric model intercomparison. Ecological Modeling, 232, pp.144-157. McGuire, A.D. et al., 2012. An assessment of the carbon balance of Arctic tundra: comparisons among observations, process models, and atmospheric inversions. Biogeosciences, 9, pp.3185-3204. O'Donnell, J.A. et al., 2012. The effects of permafrost thaw on soil hydrologic, thermal, and carbon dynamics in an Alaskan peatland. Ecosystems, 15, pp.213-229. 2017 Unit Award for Excellence in Service to the U.S. Geological Survey Land Carbon Team. Awarded by the Department of the Interior (awarded March 2, 2017). 2016 Star (Special Thanks for Achievement) Award for development of U.S. Geological Survey White Paper on Landscape Ecology (awarded April 2016). 2014 Performance award for improving the understanding of national ecosystems and resources through integrated interdisciplinary assessment. Awarded by the Cooperative Research Units Program of the U.S. Geological Survey (awarded December 2014). 2013 Performance award for improving the understanding of national ecosystems and resources through integrated interdisciplinary assessment. Awarded by the Cooperative Research Units Program of the U.S. Geological Survey (awarded January 2014). 2012 American Association for Advancement of Science Fellow (inducted February 2013). 2012 Performance award for improving the understanding of national ecosystems and resources through integrated interdisciplinary assessment. Awarded by the Cooperative Research Units Program of the U.S. Geological Survey (awarded December 2012). 2011 Performance award for improving the understanding of national ecosystems and resources through integrated interdisciplinary assessment. Awarded by the Cooperative Research Units Program of the U.S. Geological Survey (awarded November 2011). 2010 Performance award for improving the understanding of national ecosystems and resources through integrated interdisciplinary assessment. Awarded by the Cooperative Research Units Program of the U.S. Geological Survey (awarded November 2010). 2009 Performance award for improving the understanding of national ecosystems and resources through integrated interdisciplinary assessment. Awarded by the Cooperative Research Units Program of the U.S. Geological Survey (awarded November 2009). 2008 Performance award for improving the understanding of national ecosystems and resources through integrated interdisciplinary assessment. Awarded by the Cooperative Research Units Program of the U.S. Geological Survey (awarded November 2008). 2007 Emil Usibelli Distinguished Research Award (awarded 7 May 2007 by University of Alaska Fairbanks). 2002 Editors' Citation for Excellence in Refereeing for Global Biogeochemical Cycles. 1997 Recognition for special dedication to the Partners in Science Project during 1996 (awarded 26 Feb 1997). 1992 Certificate of Merit for outstanding performance in personal research. Awarded by the USDA Forest Service (awarded September 1992). American Association for the Advancement of Science (1991 - present). American Geophysical Union (1996 - present). Ecological Society of America (1982 - present). International Permafrost Association (2012 – present). 4. Grant from the National Science Foundation Long-Term Ecological Research Program for project titled: Cross-scale controls over responses of the Alaskan boreal forest to changing disturbance regimes. Co-Principal Investigator with Principal Investigator Dr. Roger Ruess. Awarded for 2017-2023 ($6,762,000 total budget). 3. Grant from the U.S. Geological Survey Alaska Climate Science Center for project titled: Differential effects of climate-mediated forest change on the habitats of two ungulates important to subsistence and sport hunting economies. Co-Investigator with Principal Investigator Brad Griffith. Awarded for 2014 - 2019 ($176,929). 2. Grant from the National Science Foundation for project titled: The roles of plant roots, mycorrhizal fungi and uptake of deep nitrogen in the permafrost carbon feedback to warming climate. Co-Investigator at UAF (Principal Investigator at UAF Hélène Genet; Project leader Dr. Michele Mack at Northern Arizona University). Awarded for 2015 - 2019 ($343,288 UAF budget). 1. Grant from the U.S. Geological Survey for project titled: Modeling landscape vulnerability to thermokarst disturbance and its implication for ecosystem services in the Yukon Flats National Wildlife Refuge, Alaska. Co-Investigator with Principal Investigator at Hélène Genet. Awarded 2016-2021 ($236,090). 55. Grant from U.S. Geological Survey for project titled: Application of an Integrated Ecosystem Model: A multi-institutional and multi-disciplinary effort to understand potential landscape, habitat, and ecosystem change in Alaska and Northwest Canada. Principal Investigator for 2016-2018 ($1,090,000). 54. Grant from the National Science Foundation Long-Term Ecological Research Program for project titled: Regional consequences of changing climate-disturbance interactions for the resilience of Alaska’s boreal forest. Co-Principal Investigator with Principal Investigator Dr. Roger Ruess. Awarded for 2011 – 2018 ($5,640,000 total budget). 53. Grant from U.S. Geological Survey for project titled: Process-based model assessment of historical and projected changes in carbon storage in Alaska. Principal Investigator. Awarded for 2013 - 2017 ($736,000). 52. Grant from U.S. Geological Survey and U.S. Fish and Wildlife Service for project titled: Development and Application of an Integrated Ecosystem Model for Alaska. Principal Investigator. Awarded for 2011-2016 ($3,606,685). 51. Grant from the Department of Defense Strategic Environmental Research and Development Program for project titled: Identifying indicators of state change and forecasting future vulnerability in Alaskan boreal ecosystems. Principal Investigator at UAF (Project Leader Dr. Ted Schuur, University of Florida). Awarded for 2011 - 2016 ($1,017,766 UAF budget). 50. Grant from Department of Energy Next Generation Ecosystem Experiment - Arctic. Other investigator with Principal Investigator Dr. Larry Hinzman. Awarded for 2011 - 2015 ($407,888). 49. Grant from U.S. Fish and Wildlife Service for project titled: Evaluations moose (Alces alces gigas) browse and habitat resources and resource use in response to fire dynamics on the Kanuti National Wildlife Refuge, Alaska. Principal Investigator. Awarded for 2013 - 2015 ($23,585). 48. Grant from National Aeronautics and Space Administration for project titled: The forest disturbance carbon tracking system: A CMS project. Principal Investigator at UAF (Project Leader Dr. Eric Kasischke, University of Maryland). Awarded for 2012 - 2014 ($50,000 UAF budget). 47. Grant from National Science Foundation for project titled: "Research Coordination Network: Vulnerability of Permafrost Carbon". 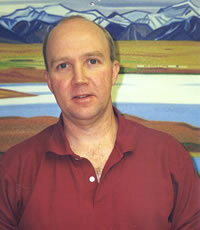 Principal Investigator at UAF (Project Leader Dr. Ted Schuur, University of Florida). Awarded for 2010 - 2014 ($401,487 total budget). 46. Grant from National Science Foundation for project titled: Collaborative Research: Soil Climate and its Control on Wetland Carbon Balance in Interior Boreal Alaska: Experimental Manipulation of Thermal and Moisture Regimes. Principal Investigator at UAF (Project Leader Dr. Merritt Turetsky, Michigan State University). Awarded for 2007 - 2013 ($285,000 UAF budget).45. Grant from National Fish and Wildlife Foundation for project titled: Understanding how Arctic herbivores may respond to projected changes in climate in northern Alaska. Co-PI with PI Eugenie Euskirchen. Awarded for 2011 - 2012 ($50,704). 44. Grant from the U.S. Geological Survey for project titled: Partitioning of Soil Respiration along Moisture Gradients in Alaskan Landscapes. Principal Investigator at UAF with Project Leader Dr. Jennifer Harden (USGS). Awarded for 2009 - 2012 ($122,087). 43. Grant from the National Science Foundation Long-Term Ecological Research Program for project titled: The Dynamics of Change in Alaska’s Boreal Forests: Resilience and Vulnerability in Response to Climate Warming. Co-Principal Investigator with Principal Investigator Dr. F. Stuart Chapin III. Awarded for 2007 - 2011 ($689,384 of $3,280,000 budget). 42. Grant from U.S. Fish and Wildlife Service for project titled: Integrated Ecosystem Model for Alaska. Co-Investigator with Principal Investigator T. Scott Rupp. Awarded for 2010-2011 ($409,999). 41. Grant from the National Science Foundation to IARC for project titled: Circumpolar Synthesis and Integration. Principal Investigator of the Arctic Ecosystems component of the grant. Awarded for 2008 – 2011 ($461,551). 40. Grant from United States Department of Agriculture for project titled "Assessing the Impacts of Fire and Insect Disturbance on the Terrestrial Carbon Budgets of Forested Areas in Canada, Alaska, and the Western United States". Principal Investigator at UAF (Project Leader Dr. Eric Kasischke, University of Maryland). Awarded for 2008–2011 ($254,000 UAF budget). 39. Grant from U.S. Geological Survey for project titled “Assessing the role of deep soil carbon in Interior Alaska: Data, models, and spatial/temporal dynamics”. Principal Investigator. Awarded for 2008-2011 ($246,128). 38. Grant from the National Science Foundation for project titled: Biogeochemical Cycling of Chaparral Ecosystems. Principal Investigator at UAF with project leader Dr. Edith Allen (University of California Riverside). Awarded for 2009 – 2011 ($14,000 subcontract). 37. Grant from the U.S. Geological Survey for project titled: Carbon responses along moisture gradients in Alaska. Principal Investigator at UAF with Project Leader Dr. Jennifer Harden (USGS). Awarded for 2005 – 2010 ($163,679 Research Work Order). 36. Grant from the National Center of Ecological Analysis and Synthesis for project titled: Towards an adequate quantification of CH4 emissions from land ecosystems: Integrating field and in-situ observations, satellite data, and modeling. Co-Principal Investigator with Principal Investigator Dr. Qianlai Zhuang (Purdue University) and Co-Principal Investigators Dr. Jerry Melillo (Marine Biological Laboratory) and Dr. Ron Prinn (MIT). Awarded 2006 – 2009 ($133,950 total budget). 35. Grant from National Science Foundation for project titled: Collaborative Research: Synthesis of Arctic System Carbon Cycle Research Through Model-Data Fusion Studies Using Atmospheric Inverse and Process-Based Approaches. Principal Investigator at UAF and Project Leader (Four Institutions). Awarded for 2005 - 2009 ($299,148 of total $1.2M budget). 34. Grant from National Aeronautical and Space Administration for project titled: Wildfire consumption of ground-layer organic matter in North American Boreal Forests and Peatlands: Implications for atmospheric trace gas emissions and long-term soil carbon storage. Principal Investigator at UAF with Project Leader Dr. Eric Kasischke (University of Maryland). Awarded for 2005 – 2009 ($69,112 subcontract). 33. Grant from the National Science Foundation to IARC for project titled: Climate of the Arctic: Modeling and Processes (CAMP). Principal Investigator of the Arctic Biota/Vegetation component of the grant. Awarded for 2004 – 2008 ($1,022,805). 32. Grant from U.S. Forest Service for project titled: Impact of climate change on vegetation and water supply. Principal Investigator at UAF with Project Leader Dr. Linda Joyce (U.S. Forest Service). Awarded for 2005 - 2007 ($54,717 Research Work Order). 31. Grant from the National Science Foundation Long-Term Ecological Research Program for project titled: Alaska’s Changing Boreal Forest: Resilience and Vulnerability. Co-Principal Investigator with Principal Investigator Dr. F. Stuart Chapin III. Awarded for 2005 - 2007 ($352,252 of total $1,640,000 budget). 30. Grant from the National Science Foundation through the Marine Biological Laboratory for project titled: Biocomplexity - Feedbacks between ecosystems and the climate system. Prinicipal Investigator at UAF with Project Leader Dr. Jerry Melillo (Marine Biological Laboratory). Awarded for 2001 - 2007 ($259,800 subcontract). 29. Grant from the National Science Foundation for project titled: Fire-mediated changes in the Arctic System: Interactions of changing climate and human activities. Co-Investigator with Principal Investigator Dr. F. Stuart Chapin III. Awarded for 2003 - 2007 ($285,996 of total $1,347,857 budget). 28. Grant from the National Science Foundation for project titled: Regional resilience and adaptation: Planning for Change. Co-Investigator with Principal Investigator Dr. F. Stuart Chapin III. Awarded for 2001 - 2007 ($2,620,000). 27. Grant from U.S. Forest Service for project titled: Modeling the contribution of belowground carbon allocation and productivity to net carbon storage in the Upper Great Lakes Region. Principal Investigator at UAF with Project Leader Dr. Christian Giardina (U.S. Forest Service). Awarded for 2005 - 2007 ($23,585 Research Work Order). 26. Grant from the National Science Foundation for project titled: Soil climate and its control on wetland carbon balance in interior Alaska – Experimental manipulation of thermal and moisture regimes. Principal Investigator at UAF and Project Leader (Three Institutions). Awarded for 2004 – 2006 ($175,000). 25. Grant from U.S. Forest Service for project titled: Carbon dynamics in the U.S. forest sector with and without climate change and carbon sequestration management. Principal Investigator at UAF with Project Leader Dr. Linda Joyce (U.S. Forest Service). Awarded 2004 – 2006 ($27,994 Research Work Order). 24. Grant from the National Science Foundation Long-Term Ecological Research Program for project titled: Climate-disturbance interactions in the boreal forest. Co-Investigator with Principal Investigator Dr. F. Stuart Chapin III. Awarded for 2000 - 2005 ($111,151 of total $2,800,000 budget). 23. Grant from the U.S. Geological Survey for project titled: Fate of carbon in Alaska Landscapes. Principal Investigator at UAF with Project Leader Dr. Jennifer Harden (USGS). Awarded for 2000 - 2005 ($132,821 Research Work Order). 22. Grant from the National Aeronautics and Space Administration for project titled: The role of land-cover change in high latitude ecosystems: Implications for carbon budgets of North America. Principal Investigator at UAF and Project Leader (Three Institutions). Awarded for 2001 - 2004 ($520,840). 21. Grant from U.S. Forest Service for project titled: Forest sector outcomes with/without climate change and carbon sequestration management. Principal Investigator at UAF with Project Leader Dr. Linda Joyce (U.S. Forest Service). Awarded for 2003 - 2005 ($26,066 Research Work Order). 20. Grant from the National Science Foundation for project titled: Modeling the role of high latitude terrestrial ecosystems in the Arctic System: A retrospective analysis of Alaska as a regional system. Principal Investigator at UAF and Project Leader (Four Institutions). Awarded for 2001 - 2005 ($314,979 of total $1,110,000 budget). 19. Grant from the National Science Foundation for project titled: Transitions - A study of the spatial and temporal transitions of climate and ecosystems in the circumpolar Arctic. Co-Investigator with Principal Investigator Dr. F. Stuart Chapin III. Awarded for 1998 - 2004 ($356,250 of total $1,900,000). 18. Grant from the National Science Foundation through the Marine Biological Laboratory for project titled: The response of carbon cycling in arctic ecosystems to global change - Regional and pan-arctic assessments. Principal Investigator at UAF with Project Leader Dr. John Hobbie (Marine Biological Laboratory). Awarded for 1998 - 2004 ($140,000 subcontract). 17. Grant from U.S. Fish and Wildlife Service for project titled: Landscape analysis of moose distribution relative to fire history in interior Alaska. Principal Investigator. Awarded for 2001 - 2003 ($34,564 Research Work Order). 16. Grant from the National Science Foundation through the Marine Biological Laboratory for project titled: Terrestrial biospheric responses to atmospheric deposition and application to integrated assessment. Principal Investigator at UAF with Project Leader Dr. Jerry Melillo (Marine Biological Laboratory). Awarded for 1998 - 2002 ($70,017 subcontract). 15. Grant from the USDA Forest Service for project titled: Sensitivity of ATLAS to alternative climate change scenarios and alternative assumptions within climate change scenarios. Principal Investigator at UAF with Project Leader Dr. Linda Joyce (USDA Forest Service). Awarded for 2001 - 2002 ($18,306 Research Work Order). 14. Grant from National Aeronautical and Space Administration through NASA Ames Research Center in a project titled: Understanding the effect of land cover change on model estimates of regional carbon cycling in the boreal forest biome. Principal Investigator at UAF with Project Leader Dr. Chris Potter (NASA Ames). Awarded for 2001 - 2002 ($15,000 subcontract). 13. Grant from the National Science Foundation for project titled: The role of wildfire in Alaska - Experimental and regional approaches to improved understanding of boreal feedbacks to climate (FROSTFIRE). Co-Investigator with Principal Investigator Dr. F. Stuart Chapin III. Awarded for 1997 - 2001 ($258,878 of total $1,200,000). 12. Grant from the USDA Forest Service for project titled: Development of forest disturbance scenarios for the United States. Principal Investigator at UAF with Co-Investigator Dr. Linda Joyce (USDA Forest Service). Awarded for 1999 - 2001 ($37,037). 11. Grant from the National Aeronautics and Space Administration for project titled: The role of land-cover change in high latitude ecosystems: Implications for the global carbon cycle. Principal Investigator. Awarded for 1997 - 2001 ($520,000). 10. Grant from the National Aeronautics and Space Administration for project titled: Application of the Terrestrial Ecosystem Model to simulate the carbon dynamics of the BOREAS region in 1994, 1995, and 1996: The influence of different land cover maps. Principal Investigator. Awarded for 2000 - 2001 ($25,000). 9. Grant from the Electric Power Research Institute through the Marine Biological Laboratory for project titled: Carbon Cycle Model linkage Project II. Principal Investigator at UAF with Project Leader Dr. Jerry Melillo (Marine Biological Laboratory). Awarded for 2001 ($20,000). 8. Grant from the National Science Foundation for project titled: The role of high latitude ecosystems in the global carbon cycle. Principal Investigator. Awarded for 1996 - 2000 ($442,026). 7. Grant from the National Science Foundation Long-Term Ecological Research Program for project titled: Interaction of multiple disturbances with climate in Alaskan boreal forests. Co-Investigator with Principal Investigator Dr. F. Stuart Chapin III. Awarded for 1998 - 2000 ($60,000 of total $1,400,000 budget). 6. Grant from the Exxon Valdez Oil Spill Trustees Council for project titled: Pigeon guillemots and river otters as bioindicators of nearshore ecosystem health in Prince William Sound. Principal Investigator. Awarded for 1995 - 2000 ($800,685). 5. Grant from the Electric Power Research Institute through the Marine Biological Laboratory for project titled: Vegetation/ecosystem modeling and analysis project phase II. Principal Investigator at UAF with Project Leader Dr. Jerry Melillo (Marine Biological Laboratory). Awarded for 1996 - 1999 ($77,346). 4. Grant from the USDA Forest Service for project titled: National projections of forest productivity under climate change. Principal Investigator at UAF with Co-Investigator Dr. Linda Joyce (USDA Forest Service). Awarded for 1998 - 1999 ($22,641 Research Work Order). 3. Grant from the Bonanza Creek Long Term Ecological Research (LTER) Project titled: Modeling structure and function in subarctic ecosystems: Steps in addressing issues of spatial and temporal scaling. Co-Investigator with Principal Investigator Dr. F. Stuart Chapin III. Awarded for 1996 - 1998 ($38,000). Jon O'Donnell (December 2010): The effects of permafrost degradation on soil carbon dynamics in the Alaska’s boreal region. (Co-advised with Dr. Jennifer Harden). Currently employed with the National Park Service in Fairbanks, Alaska. Michael Balshi (December 2007): The role of fire in the carbon dynamics of the boreal forest. Currently employed with the U.S. Government in Washington D.C.
Colin Beier (August 2007): Regional climate, federal land management, and the social-ecological resilience of southeastern Alaska. (Co-advised with Terry Chapin). Employed as Assistant Professor in College of Environmental Science and Forestry, State University of New York Syracuse, Syracuse, New York. Nancy Fresco (August 2006): Carbon sequestration in Alaska's boreal forest: Planning for resilience in a changing landscape. (Co-advised with Dr. Terry Chapin). Employed as Network Coordinator for Scenarios Network for Alaska Planning (SNAP) by University of Alaska Fairbanks, Fairbanks, Alaska. Catharine Thompson (May 2005): Vegetation-climate interactions along a transition from tundra to boreal forest in Alaska. Employed as Ecologist by the National Park Service, Port Angeles, Washington. Qianlai Zhuang (December 2001): Modeling the influence of climate change, permafrost dynamics, and fire disturbance on carbon balance of high latitude ecosystems. Employed as Assistant Professor in Department of Earth and Atmospheric Sciences, Purdue Univeristy, Lafayette, Indiana. Erin Julianus (August 2016): Moose (Alces Alces) browse availability and use in response to post-fire succession on Kanuti National Wildlife Refuge, Alaska (Co-advised with Dr. Teresa Hollingsworth). Currently employed by Bureau of Land Management, Fairbanks, Alaska. Nicole McConnell (August 2012): Contols on ecosystem respiration along a boreal vegetation and permafrost gradient in interior Alaska (Co-advised with Dr. Jennifer Harden and Merritt Turetsky). Currently employed at Oregon Department of Fish and Game. Amy Churchill (December 2011): Plant and ecosystem physiological responses to environmental controls on primary production in Alaskan peatlands (Co-advised with Dr. Merritt Turetsky). Currently in a Ph.D. degree program at the University of Colorado. Isla Myers-Smith (May 2005): Carbon exchange and permafrost collapse: Implications for a changing climate. Currently is in a tenure track faculty position at the University of Edinburgh. Xinxian Zhang (May 2001): Modeling stand-level canopy maintainence respiration of black spruce ecosystems in Alaska: Implications for spatial and temporal scaling. Employed as Biostatistician at Alaska Department of Fish and Game in Juneau, Alaska. Cherie Silapaswan (December 2000): Land-cover change on the Seward Peninsula: The use of remote sensing to evaluate the potential influences of climate change on historical vegetation dynamics. Employed as Remote Sensing Specialist by Research Systems International in Boulder, Colorado. Pamela Seiser (May 2000): Mechanisms of impact and potential recovery of pigeon guillemots (Cepphus columba) after the Exxon Valdez oil spill. Employed as Biological Technician at Alaska Biological Research in Fairbanks, Alaska. Curt Dulaney (Advisor Kara Nance, December 2000): Implementing dynamic vegetation in the Terrestrial Ecosystem Model. Employed by International Business Machines (IBM) in Tucson, Arizona. James Long (Advisor Mitch Roth, Spring 2000): A parallel implementation of the Terrestrial Ecosystem Model (TEM). Employed by Institute of Arctic Biology, University of Alaska Fairbanks. Dr. Mark Lara (Postdoctoral IAB Research Associate, February 2013 – August 2016). Employed as Postdoctoral Research Associate, University of Illinois, August 2016 - present. Dr. Yanjiao Mi (Postdoctoral IAB Research Associate, August 2014 – November 2015). Employed in China. Dr. Helene Genet (Postdoctoral IAB Research Associate, September 2011-October 2015). Employed as Research Assistant Professor, Institute of Arctic Biology, University of Alaska Fairbanks, October 2015 - present. Dr. Yujin Zhang (Postdoctoral IAB Research Associate, February 2012 - January 2015). Employed in China. Dr. Zhaosheng Fan (Postdoctoral IAB Research Associate, January 2011 – March 2012). Employed at Argonne National Laboratory, April 2012 - June 2016; USDA Agricultural Research Service, Boulder, Colorado, June 2016 - present. Dr. Fengming Yuan (Postdoctoral IAB Research Associate, October 2008 - September 2011). Employed at Oak Ridge National Laboratory, October 2011 - present. Dr. Kris Johnson (Postdoctoral IAB Research Associate, October 2008 - March 2011). Employed with USDA Forest Service (March 2011 - August 2017), United Nations Food and Agriculture Organization (August 2017 - present). Dr. Kirsten Barrett (PUSGS Mendenhall Postdoctoral Fellow, co-sponsered with Carl Markon - USGS Alaska Science Center, June 2008 - September 2010). Employed at USGS Alaska Science Center, September 2010 - 2013; University of Leicester, UK, September 2013 - present. Dr. Daniel Hayes (Postdoctoral IAB Research Associate, November 2006 - August 2010). Employed at Oak Ridge National Laboratory, August 2010 - August 2015; University of Maine, August 2015 - present. Dr. Shuhua Yi (Postdoctoral IAB Research Associate, October 2006 - December 2008). Employed at State Key Laboratory of Cryosphere Sciences, Cold and Arid Regions Environmental and Engineering Research Institute, Lanzhou, Gansu, China, January 2009 - present. Dr. Eugenie Euskirchen (Postdoctoral IAB Research Associate, January 2004 - June 2009). Employed as Research Associate Professor, Institute of Arctic Biology, University of Alaska Fairbanks, July 2009 - present. Dr. Monika Calef (Postdoctoral IAB Research Associate, August 2003 - September 2005). Employed as Assistant Professor at State University of New York Albany, September 2005 - July 2010. Employed at Soka University of America, Aliso Viejo, California, August 2010 – present). Dr. Julie Maier (Postdoctoral IAB Research Associate, 2001-2003). Employed as Instructor at University of Alaska Fairbanks, September 2005 - present. Member: Board of Editors for Ecological Applications (1999 – 2002; 2004 – 2017). Associate Editor: Global Biogeochemical Cycles (2015 – 2017). Associate Editor: International Journal of Wildland Fire (2009 – 2016). Member: Permafrost Action Team of the Study of Environmental Arctic Change (SEARCH), which is a research activity that is supported through several federal agencies (2016). Member: Wildfire Implementation Team for the Interagency Arctic Research Policy Committee (2013 - 2016). Member: Science Steering Committee for the Study of Environmental Arctic Change (SEARCH), which is a research activity that is supported through several federal agencies (2002 – 2015). Guest Editor: Special Issue of Environmental Research Letters on "Changing Permafrost in a Warmer World: Observation and Implication" (2012 – 2014). Member: Science Definition Team for NASA-led Arctic-Boreal Vulnerability Experiment (ABoVE) (2013 – 2014). Member: USGS Ecosystems Strategic Science Planning Team (2010 – 2013). Member: Carbon Cycle Science Working Group to draft new U.S. Carbon Cycle Science Plan (2009 – 2011). Member: Advisory Committee for the Cooperative Arctic Data and Information Service of the Arctic Observatory Network (2008 – 2011). Member: Executive Board of the U.S. Long Term Ecological Research (LTER) Network (2008 – 2011). Review Coordinator: National Academy of Sciences/Polar Research Board Committee Report on Frontiers in Understanding Climate Change and Polar Ecosystems (2010 – 2011). Member: USGS Carbon Sequestration Interagency Science Panel (2009 - 2010). Member: Interagency Advisory Committee on Department of Transportation Federal Highway Administration Report on Regional Climate Change Effects: Useful Information for Transportation Agencies (2009 – 2010). External Advisor: European Union Sixth Framework Programme CARBO-North Project titled Quantifying the carbon budget of northern Russia – past, present, and future (2007 – 2010). Co-Chair: U.S. Arctic Research Commission study and report titled Scaling Studies in Arctic System Science and Policy Support: A Call-to-Research (2007 – 2010). Member: Carbon Cycle Science Steering Group for the Carbon Cycle Interagency Working Group of the U.S. Climate Change Science Program (2005 – 2010). Member: Science Steering Committee for the Arctic Community-wide Hydrological Analysis and Monitoring Program (Arctic-CHAMP), which is a program supported through the Arctic System Science (ARCSS) Activity of the National Science Foundation (2002 - 2010). Member: Search Committee for editor of Earth Interactions (2008 – 2010). Member: Federal Advisory Committee Author Team for U.S. Global Change Research Program Report on Global Climate Change Impacts in the United States (2008 – 2009). Chair: Organizing Committee for the “Scientific Assessment of the Arctic Carbon Cycle”, which is an activity of the Arctic Monitoring and Assessment Program (AMAP) on behalf of the eight countries of the Arctic Council (2006 - 2009). Co-Chair: Arctic System Science Data-Model Workshop Organizing Committee, which is a workshop that will identify how to better advance synthesis focused research of the Arctic System Science (ARCSS) program of the Office of Polar Programs at the National Science Foundation (2006 - 2008). Chair: Data Working Group of the Study of Environmental Arctic Change (SEARCH), which is a group to oversee the data management of SEARCH so that it meets the needs of the science and so that it is consistent with International Polar Year data management and the data management policies of the federal agencies involved in SEARCH (2005 - 2008). Member: External Advisory Committee for the conference “Carbon in Peatlands: State of the Art and Future Research” held in Wageningen, Netherlands, 15-18 April 2007. Member: Scientific Committee for “The International Conference on Regional Carbon Budgets” which was held in Beijing, China, 16-18 August 2006. Member: Working Group 8 (Terrestrial Biosphere and Biodiversity) of the Second International Conference of Arctic Research Planning (ICARP II) held in November 2005 (2004 - 2006). Chair: Program Committee for the International Boreal Forest Research Association (IBFRA) Conference held in Fairbanks in May 2004 (2002 - 2003). Member: Committee to draft the Implementation Plan for the North American Carbon Program (NACP), which is research activity that is supported through several federal agencies (2003 - 2004). Member: Committee to draft the Science Plan for the Northern Eurasian Earth System Partnership Initiative (NEESPI), which is to be an international research activity (2003 - 2004). Member: Science Steering Committee for the Community Arctic Modeling Project (CAMP), which is project operated through the International Arctic Research Center (IARC) as part of a cooperative agreement between the University of Alaska Fairbanks and the National Science Foundation (2002 - 2003). Other Editorial Work: Guest Editor for focus issue of Environmental Research Letters on Changing Permafrost in a Warming World and Feedbacks with the Earth System (unpublished 2013 - 2016); Review Coordinator for National Academy of Sciences/Polar Research Board Committee Report on Frontiers in Understanding Climate Change and Polar Ecosystems (published 2011); Guest Editor for special issue of Earth Interactions reporting the results from the Western Arctic Linkage Experiment (published 2010), Guest Editor for special issue of Mitigation and Adaptation Strategies for Global Change associated with 2004 Fairbanks meeting of the International Boreal Forest Research Association (published 2006); Guest editor for special issue of Canadian Journal of Forest Research associated with 2004 Fairbanks meeting of the International Boreal Forest Research Association (published 2005); Organizer for special issue of Journal of Geophysical Research Atmospheres on Arctic Transitions in the Land Atmosphere System (published 2003). Alaska High School Science Symposium Student Papers (1999,1998,1997). Member: National Academy of Sciences/Polar Research Board Committee to Review NASA's Polar Geophysical Data Sets (2000). Panel member for funding agencies: NSF Office of Polar Programs (2006), NSF Ecosystems Panel (2007). Program reviews for research agencies: USDA Forest Service Rocky Mountain Forest and Range Experiment Station (1996). Member: Leadership Committee for Bonanza Creek Long-Term Ecological Research Program (2003 – present). Member: Research Scientist and Affiliate Faculty Committee, Department of Biology and Wildlife (2012 – 2016). Member: Human Resources Coordinator Search Committee, Institute of Arctic Biology (2012). Member: Search Committee for faculty position in Ecology (2011 – 2012). Chair: Panel to rate applications for Assistant Unit Leader Fisheries position (2011). Member: Science Steering Committee for Scenarios Network for Alaska Planning (SNAP) (2007 – 2011). Chair: Unit Peer Review Committee to evaluate promotion file of Dr. Mark Wipfli, Alaska Cooperative Fish and Wildlife Research Unit (2010 – 2011). Member: Executive Committee for the Resilience and Adaptation Program (RAP) Interdisciplinary Graduate Program at the Univeristy of Alaska Fairbanks (2001 - 2007). Chair: Anthropology Program Review (2003 - 2004). Member: Executive Committee for Bonanza Creek Long-Term Ecological Research Program (1998 - 2003). Member: Search Committee for Assistant/Associate Professor of Wildlife Ecology (2002 - 2003). Member: Search Committee for three faculty positions in Bioinformatics (2002 - 2003). Chair: Subcommittee on Graduate Admissions Procedures in the Department of Biology and Wildlife (2002 - 2003). Member: Committee on Unit Criteria for Promotion and Tenure in the Department of Biology and Wildlife (2002 - 2003). Member: Conservation and Resource Ecology (CARE) representative on the Research Advisory Committee (RAC) in the Institute of Arctic Biology (1996 - 2002). Member: Planning Committee for University of Alaska Statewide Remote Sensing/Data Management Initiative (2000 - 2001). Faculty contact for the Department of Biology and Wildlife in the Partners in Science Project, a joint project between the Fairbanks North Star Borough School District, the Iditarod School District, and the University of Alaska Fairbanks (1996 - 2000). Chair: Search Committee for Curator of Herbarium and Assistant Professor of Plant Molecular Systematics at the University of Alaska Fairbanks (1999). Member: Science Steering Committee for the UAF Center for Global Change and Arctic Systems Research (1996 - 1999). Member: Examination Committee for Master of Science Comprehensive Exam in the Department of Biology and Wildlife (1997 - 1999). Chair: University of Alaska Fairbanks Trails Committee (1997 - 1998). Secretary: University of Alaska Fairbanks Trails Committee (1996 - 1997). Member: Wildlife Subcommittee of the Science/Technical Committee to review wildlife concerns of the Alaska Forest Resources and Practices Act for the Alaska Board of Forestry (1996 - 1997). Seminar Coordinator, Life Sciences Seminar Series of the institute of Arctic Biology and the Department of Biology and Wildlife, University of Alaska Fairbanks (Fall 1996 - Spring 1997).